What new places have I seen? What challenges have I overcome? What new relationships have I gained? Before we headed home for the holiday, our team at Pure Hemp Botanicals asked similar questions as we reflected on our first year together. 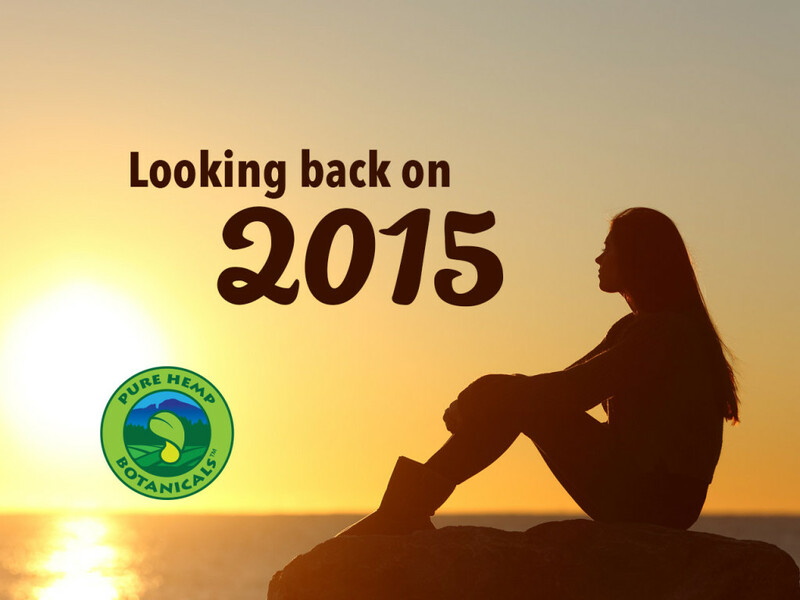 Working for Pure Hemp Botanicals is a fulfillment of a lifelong goal for many of us. Whether we were brought here because of our passion for hemp or our enthusiasm for working for a compassionate, vegan company, we wake up excited to go to work—despite the unexpected challenges and hurdles that often arise—because we love what we do. Growing our product offerings from 0 to 11 in one year! Receiving 1,000 comments from customers who say our products helped improve their lives. Participating in more than 8 different events across Colorado that allowed us to meet great people like you and build relationships with other local businesses, sustainable living enthusiasts and vegan advocates. Bringing Pure Hemp Botanicals products to the shelves of 7 retail locations: Natures Herbs and Wellness, Denver, CO; All American Tobacco, Fernandina Beach, FL; The Vault, North Hampton, MA; Super Nova, San Antonio, TX; Rocket Man Boulder, Boulder, CO; The Kind Pen, Long Branch,NJ; Green State Gardner, Burlington, VT.
We wish you all a very Happy 2016 and look forward to serving you! I have chiari and syringomyelia. Since my decompression surgery I have been in constant pain. Sometimes worse than others but it’s always there. To help manage the pain I have been prescribed narcotics for many years. Unfortunately between the medication and the pain I also have severe insomnia. I have found that the cbd teas help calm the muscle spasms and help relax me enough that I am able to fall asleep much easier than I normally do. I particularly like the flavor of the hibiscus apple tea. I have also found that the pure hemp tea mixed with a sleepy time tea works very well. The cbd tincture is also good and helps with some of the break through spasms. I am very thankful to have been introduced to this company and their products. They have helped me to get to the point where I am functional and able to get through the day and nights.